Born December 30, 1897 in Texas, Inez Beverly Prosser was the first daughter to Samuel Andrew and Veola Hamilton Beverly. The couple had 11 children in total while Samuel worked as a waiter and Veola as a homemaker. The family moved around during Prosser’s youth in search of the best educational opportunities for the children, first to Yoakum County Texas, and second to the Gulf of Texas, Corpus Christi . She later returned to Yoakum. Once Prosser was of age she began contributing to the household, by starting a college fund for her younger siblings. All eleven children graduated from high school and six decided to pursue college and gain degrees. Prosser graduated valedictorian of the Yoakum Colored School in 1910, Prosser enrolled at Prairie View State Normal and Industrial College which is currently known as Prairie View A&M University in 1912, she graduated from the College’s teaching certificate program. 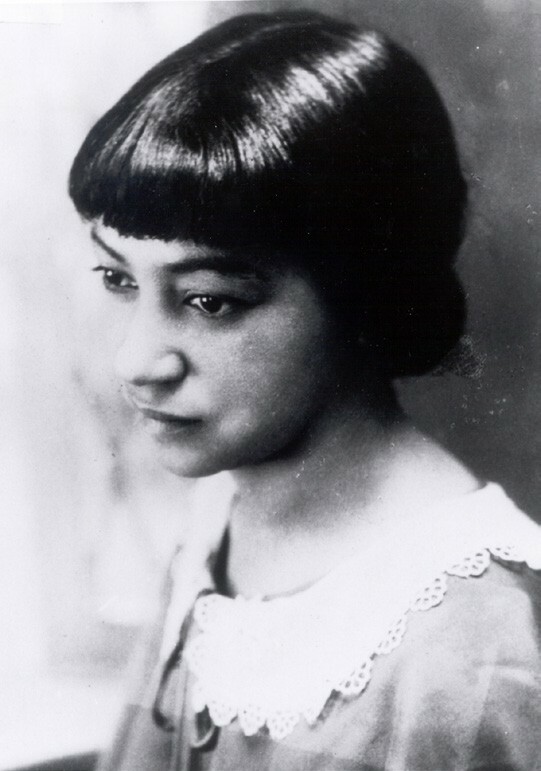 She was a teacher for a few of the colored elementary schools around Austin, Texas until 1927. Prosser’s next career move was to Anderson High School where she taught English and coached a girls team for spelling competitions. It was during this time in her life that she fell in love and married Allen Rufus Prosser. Allen Prosser worked as an elevator operator at a department store in Austin, the couple had two children. Prosser then received a master’s degree in educational psychology from the University of Colorado. At Colorado, Prosser took several courses that were particularly relevant to her master’s thesis whose subject areas include mental tests, tests and measurement, and research methods. Her thesis, “The Comparative Reliability of Objective Tests in English Grammar”, examined four kinds of English grammar tests .Her four test types included truefalse, multiple choice, completion, and matching questions. All tests covered the same subject areas and difficulty levels as well as comparable numbers of factual and reasoning questions. In 1927, upon obtaining her Master’s degree, Prosser became a faculty member of Tillotson College in Austin. She remained at Tillotson for three years, teaching courses in Education and Psychology in addition to being given a number of administrative responsibilities. In 1930, she transferred to Tougaloo College outside of Jackson, Mississippi where she held positions as both a faculty member and registrar. In addition, Prosser served as principal of the Tougaloo High School. In 1931, Prosser applied to the General Education Board (GED) for a fellowship to fund doctoral research. According to the application, her interest was in research that would further the advancement of teaching at the elementary and high school levels. The GED granted her $1,000 towards one year of doctoral study. Prosser left Tougaloo for the University of Cincinnati where she enrolled in the Doctor of Philosophy program within the College of Education for the 1931- 1932 academic year. The program was run by psychologist Dean Louis Augustus Pechstein. This was just the beginning of a long record filled with awards and academic articles achieved by Prosser. Through all her success Prosser remained extremely close with her family. August 28, 1934, Prosser was heading to Mississippi following a visit to her family in Texas. Prosser, along with her husband and sister, was involved in a head-on automobile collision Prosser was thrown through the windshield.